Why, yes I do. They’re a great source of Vitamin C.
Well, at least I don’t break out in a rash from potatoes. I’ll never forget the day when I microwaved my Lean Cuisine for lunch and just couldn’t take a bite of it. I had eaten so many frozen dinners that I was just sick of even the smell of them. Rice was my savior then and Mike made good use of his fancy rice cooker for me. I never thought of potatoes. A potato sounds really good right now. krisjames – 1st place – Most miles run – Four DVD set of Starling Fitness walking videos: Swami’s Beach, Sugarhouse, Moab and the San Antonio Riverwalk. filo666go – 2nd place – Choice of three Starling Fitness DVDs. SOKAR – 3rd place – Choice of three Starling Fitness DVDs. DatabaseDiva – 4th place – Choice of two Starling Fitness DVDs. SLB’s Nike+ – 5th place – Choice of two Starling Fitness DVDs. Congratulations to everyone who participated (if you notice, I came in at 31st place)! 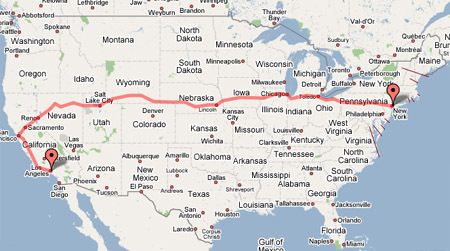 I hope you had as much fun as I did imagining our run across the United States! Last week, we bought Tiger Woods PGA Tour 07 for the Wii. Mike and I have been testing it for its exercise capabilities. Sadly, as far as exergaming is concerned, it comes up short. Most of the exercise that you get when you golf comes from walking from hole to hole. With this game, you get none of the walking. Sure, you get to swing your arms to take the shots, but it has no cardio impact at all and very little muscle training. I played two days in a row without any muscle pain, which is something that I would have never been able to do with Wii Sports or Rayman Raving Rabbids. As far as keeping you in shape during the winter months, I don’t think this game would be good for that either. I actually think that it might have the potential to hurt your game depending on how you have to swing for the game compared to swinging with a real club. Since I’ve never played golf in the real world, I wouldn’t be able to compare those two, but I highly doubt that this simulation will keep you in practice. That said, I actually love the game. I liked that I was able to make my avatar look as close to me as I could. I didn’t have to choose between ten men and one blond famous golfer, I was able to make a golfer that looked kind of close to what I look like. I was even able to make her as fat or as thin as I wanted. Creating my avatar was really enjoyable, actually. Playing golf with her is even more so. They have animated certain reactions to good shots and bad shots. It’s funny to see how my computer golfer reacts to my miserable performance. Additionally, it’s a lot of fun playing the courses. They have beautiful scenery, lovely clouds and tweeting birds. I can play the game at midnight and feel like I took a walk in the sunshine through a gorgeous park. I love how the trees sway when there is a lot of wind. I love how my golf ball skips across the water when I aim poorly. I even love how my golf ball got stuck inside a tree. Even the bad programming has funny effects. Is it exergaming? No. Did it get me off the couch and interacting with my family? Yes! Most importantly, it introduced me to a sport that I might want to try in real life. It taught me the rules and got me interested in something that I never considered before. If sport video games pique the interest in a real live sport, then I’m all for them. 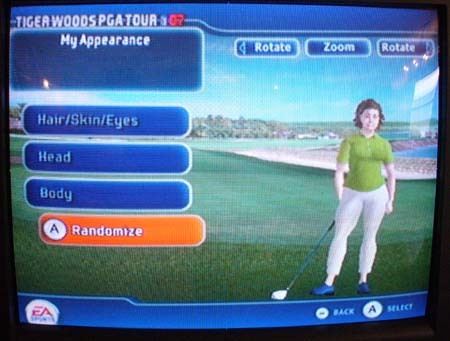 My verdict on Tiger Woods PGA Tour 07 for the Wii? Go for it! It is a lot of fun and it might even get you interested in real-life golfing! You have an imense amount of control on how your child perceives food and exercise. Far more than all the advertisers in the world. Don’t give up on them just because they say they don’t like it. Repeated exposure to healthy food creates increased ability to tolerate it. Don’t believe it. If they had REALLY found a way to melt away your fat, they wouldn’t need to advertise it on a billboard. Update 04-28-08: Looks like albaum has removed this photo from his collection on Flickr. 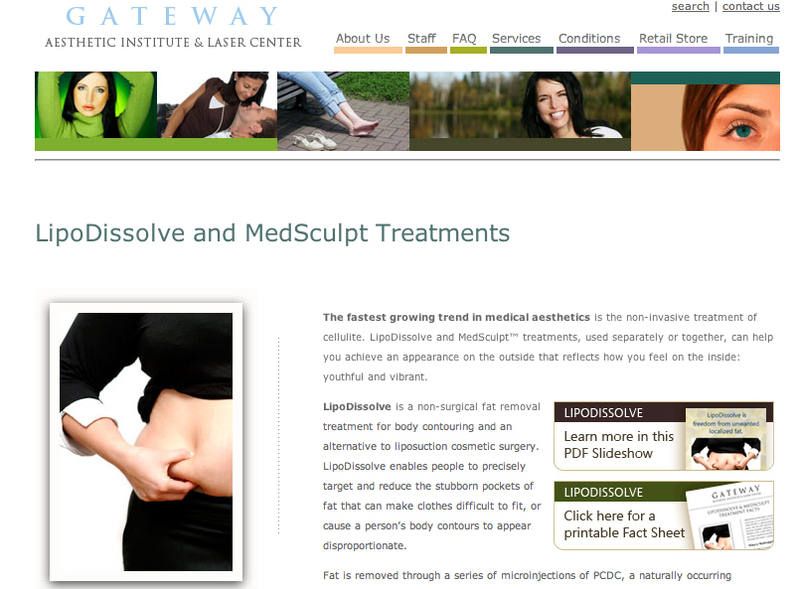 It doesn’t stop them, though, here is a screen shot of another company in Utah promoting LipoDissolve. Just like Kate, I find myself fascinated at how my own tastes have changed over the years. Is it because I can buy whatever candy I want now and it is no longer a limited supply? Have my taste buds actually changed and candies that used to be horrible like licorice now are interesting and different? My taste for candy has changed and not because of any restrictive dieting. I just don’t want to eat some things anymore. I wish I knew why. I wish I could harness it and change my tastes to crave fruits, veggies and whole grains instead of other unhealthy foods. Instead, I eat whatever I want in small portions and leave the old candy cravings by the wayside.